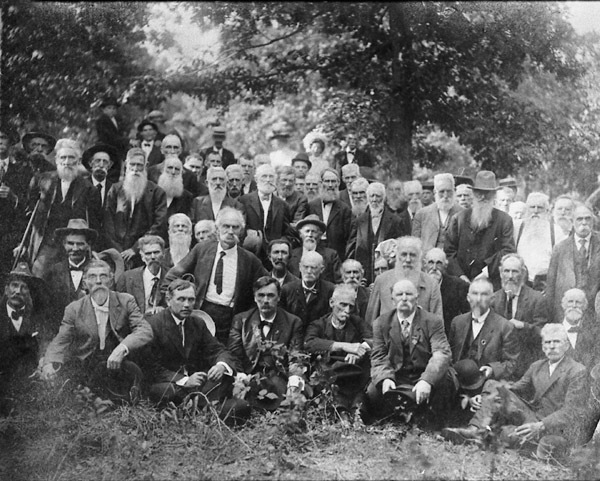 Comments: The 1908 Reunion of Confederate Veterans in Scottsville drew about 128 soldiers from the Virginia counties of Albemarle, Buckingham, Fluvanna, and Nelson. 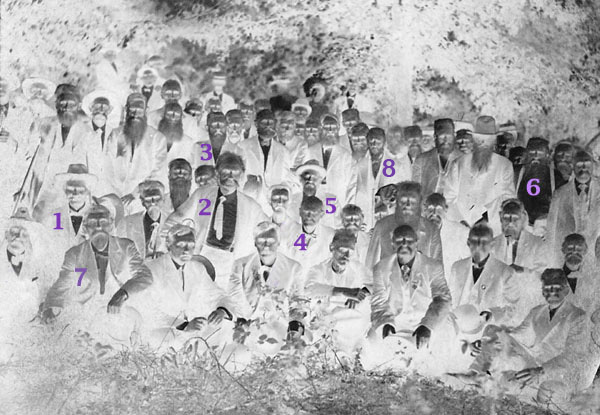 Present were 43 officers and members of the Henry Gantt Camp of Scottsville. Many old Southern songs were sung, and prominent citizens spoke, including Scottsville's Dr. J. P. Blair, W.D. Patteson, David Pitts, Jackson Beal, U.S. Senator Thomas S. Martin; and U.S. Representative John Lamb of Richmond. Martin, a beloved citizen of Scottsville, gave a particularly heartfelt and well-received speech. According to a Charlottesville newspaper account, "Senator Martin's speech, while short, was filled with that convincing power and earnestness, so characteristic of the speaker, that all were sorry when he closed. His expressions of devotion to the people of Scottsville and vicinity were indeed beautiful. His beautiful and loving tribute to the memory of (Major) Jas C. Hill, that brave and true Confederate soldier, who has gone to meet his Great Commander, brought forth the most enthusiastic applause of the day."